Phoenix Truck & Crane is helping to bring harmony in Pediatrics with funding for our music therapy program. 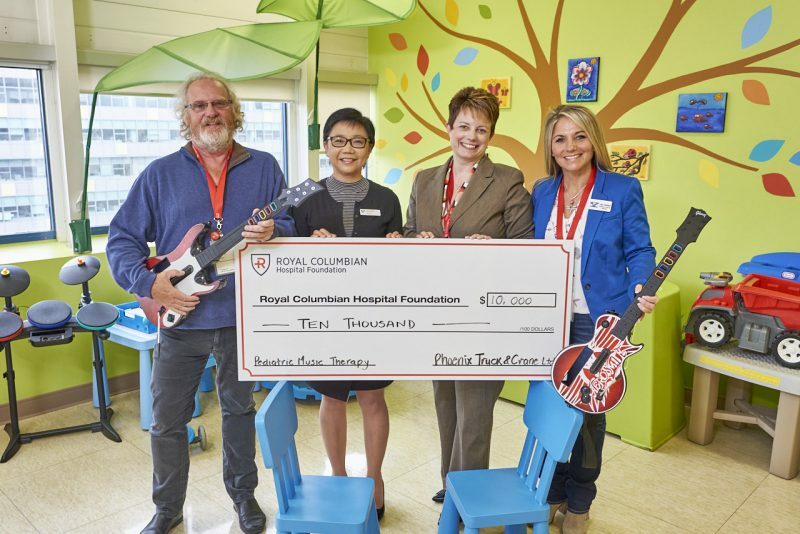 The benefits of a music therapist include elevating mood, encouraging communication and reducing anxiety for children admitted to Royal Columbian Hospital’s Pediatric Unit. The department provides a high level of care to more than 1,000 children each year, from communities including Burnaby, Coquitlam, Maple Ridge, New Westminster, Pitt Meadows, Port Moody and Port Coquitlam.